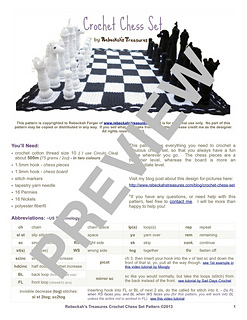 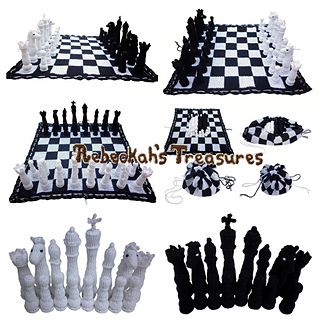 Do you love to play chess, or know someone who does? 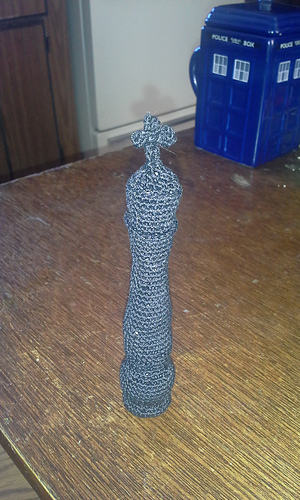 Do you also love to crochet? 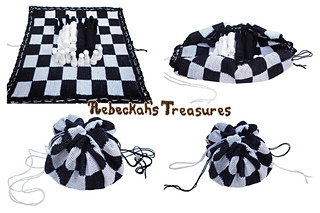 Then this just might be the pattern you are looking for! 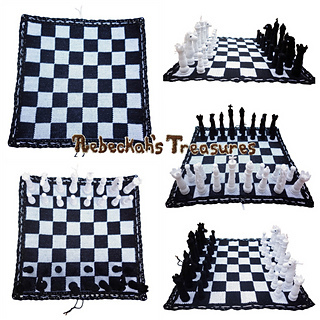 This pattern includes instructions on how to crochet each of the 6 different chess pieces and the chess board that converts into a handy bag for storage so you can take it wherever you go. 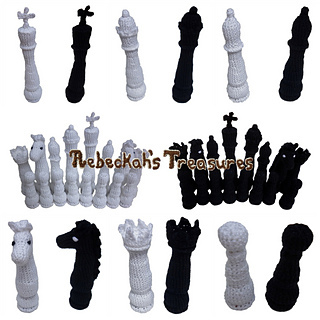 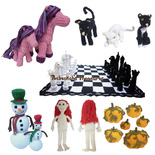 Chess pieces are worked in Amigurumi Style from bottom-up. 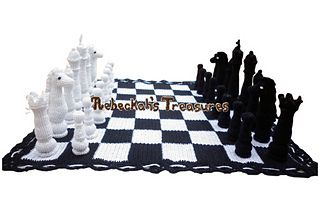 Whilst the board is worked Tapestry Crochet Style.